Happy Mother's Day to all you around the world who are celebrating today! (In this neck of the world, we won't be celebrating until May 11th.) I hope you are treated like a Queen! I have another new home card to share with you today. Just like birds, people often move/build their nests during the springtime and I seem to know a few people upping their roots this year. Spring is a time of rebirth, reawakening, recreation, resonation, reorgani - okay, stop. My card today started out with a button. A button in the shape of a house. It's the cutest. It came from GKW and I've had it for ever years. It was patiently waiting for me to find it a home, pun intended. Or to be more precise, a "dream" home. Because what could be more dreamy than neon-colored birds singing on a wire high above a yellow house in a cotton-candy neighborhood? I had such fun constructing this card using both something old-fashioned and something modern. I started by choosing a modern Washi tape for the top panel on the sketch (below) and the bright pink panel is ages-old mulberry paper, not fringed around the edge. 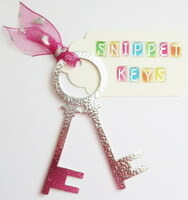 It is a cool and perfect match to the neon pink birds. I used a NBUS sediment from PTI "Bigger Blooms" to ground my little yellow house. The small white sequints for the chimney smoke are to take the eye up and back to the colorful birds. This card is going to a fellow card maker and I think she will appreciate the marriage of the old mulberry paper with the new Washi tape! I used the sketch from Seize the Sketch and flippled it on its side. I used several snippets today, so I'm taking my card over to Pixie's Snippets Playground to show the girls before I pop the card in the mail. 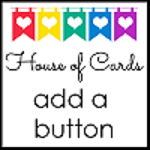 And the current House of Cards challenge is to make a CAS or Classic & Elegant card and use a button, so I'll be joining the fun there, I think for the first time! 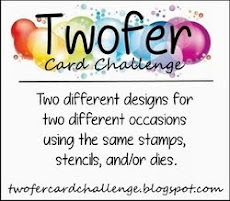 And thanks to my friend, Jacquie, I'm also entering my card in the current Simon Says Stamp Wednesday Challenge, which is Anything Goes With Buttons! Thanks, Jacquie! Be sure to click on the links for more details regarding rules, sponsors, and prizes! I hope you are able to join in and link your creation!! I am delighted to introduce you to two new friends! Jodi Ethington of Talking Twine and Trim. Jodi has been blogging since 2011. She can often be seen in the PTI blog hops and I really enjoy her use of Washi tape! I love her fun and happy cards and outlook! Jodi currently has 99 followers and I know you will help her reach that amazing 100-follower milestone and beyond! Ileana A. of Sparkling Pink. Ileana started blogging just last month! I would so appreciate it if you would make a special effort to go and visit Ileana and welcome her to this wonderful community of card artists! You will enjoy her fabulous card art and be awe-mazed by what she can do with ribbon!! Thank you, Jodi and Ileana, and welcome to the Playhouse!! One Sunday morning, the pastor noticed little Alex standing in the foyer of the church staring up at a large plaque that was covered with names which had small American flags mounted on either side. The six-year old had been staring at the plaque for some time, so the pastor walked up, stood beside the little boy, and said quietly, "Good morning Alex." "Good morning, Pastor," he replied, still focused on the plaque. "Pastor, what is this?" he asked. Finally, little Alex's voice, barely audible and trembling with fear asked, "Which service, Pastor, the 8:30 or the 10:30?" This is such an eye-catching card, Darnell. It captures the cheerfulness of the spring very aptly. Loved the touch of those sequins! Such a wonderful card Darnell. I love the button, gorgeous cheerful colours and fabulous layout too. What a great use for that beautiful little button, I love your card, it reminds me of Spring (just around the corner I hope). LOVE it! so colourful and cheerful, just what I needed to see on such a dreary morning! Love your card - its bright colourful composition is a perfect way to welcome someone to a new home. I love that house button - have never seen one like it! what a really fab card. I do love to hear the birds singing first thing in the morning, so this card really appeals to me. Fun and fabulous card and I loved that story! I love your card...the elements are placed perfectly, but the story...absolutely cracking up. From the mouths of babes! What an adorable card..love it from the Washi tape to the smoke rising and the wonderful button house. I had just made a card for our new neighbors and more concerned in getting the words on the card even. I colored the house beige and it didn't show up very well and I wasn't all that pleased with it but it was "straight"! When I saw your button I just flipped out. I have those same buttons and jumped right up and put one on this card. Thank you so much for the reminder that I had those buttons and I copied it from you. I love the neon birds and laughed at the story. Have a great weekend. What a darling card. I love that little house and the fun colors you've used. And your story about the pastor and the service? Just too cute. Very creative card with the house button. Love the buttons to represent smoke from the chimney. The solution for not being able to join as a follower on your last post does not work. The screen that pops up looks nothing like that. Frustration sometimes gives way to GRRRRRR (URGE to strangle). Defeats the purpose for the blog and blogging. Darnell, cute card. Thanks for the chuckles today, too! So cute! You absolutely rule in the creative idea department! A button house - how cute!!! The neon birds made me smile and the sequin smoke puffs - cutie patootie. The movement from the banners, to the house, to the smoke, to the birds...sheer design brilliance!!! Yes just what I needed today was something to laugh about! Love your story about Alex and who wouldn't want to live in that neighbourhood. Ii know I would! Lovely card there Darnell. Love that button and great idea. I have one or two of a similar vein. Love the card. Is the wire with birds the Washi tape? The joke was a hoot. Can't help you with the missing stamp. Oh Dippy I just adore this card - it shows you had fun making it! From that cute button to those fab neon birds......it's just funkilicious! Love this card and the buttons are perfect and the birds adorable. Thanks for playing along with us at House of Cards. Hugs. Super bright card. Very cheery. Thanks for joining in at House of cards. You have some of the most unique buttons and find such wonderful homes for them. I'd love to see these brightly colored birds singing on my wire. Funny little story. I may have to pass it on to my pastor. My fave style ever - mixing the old with the new! You can just never go wrong! And what a fun, funky result!! Where did you get the gorgeous little house button?? Its so sweet and love how you built your card around it. I've got the same bird washi tape at home but not much left as Phoebe has decided its one of her favourites! Love too how you matched with the washi tape colours, such a happy wee card. And congratulations too, I saw your cards chosen for the CAS on Sunday #29 challenge and also the One-Layer Simplicity Challenge....you rock!!!!! Great colors! Love the little house and the birds on a wire. Neon birds and a cotton candy world sound like a fun place to live! Super fun card. I love the bright colors, and that button is divine. And, your story was very cute. Love the striking colours on your card Darnell, and the pretty birdies all in a row.It's great you found the perfect place to use that cute house button and just enforces that crafty rule "never throw anything away as it may come in one day" Otherwise known as hoarding lol. I adore your card - so bright & fun! It is funny how we hoard something like the yellow house button until just the perfect project somes along. 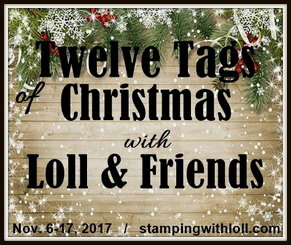 I'm pretty sure Simon Says Stamp Wed challenge is to use buttons - they always have a great prize that I never win, so maybe your card will! FAbulous card! Love that it started with a house! I adore those colorful little birds Darnell! And that house button is as cute as can be, terrific card! Fun and fabulous card Darnell, the button house with the colorful birds is delightful. Love the house button and the fun neon birds! Brilliant Darnell! LOVE the neon colours you used and such a great design. The house button is perfect! Sorry I'm a bit late commenting - didn't expect such a rush of little feet into the Playground yesterday! Hello Miss Darnell, what a brilliant creation that card is, love the mulberry paper, that button is so kool with your smoke coming out of the chimney and all us birds in there glorious colors, I love it,thanks for the like grrrreat card makers, and my chuckle for the day, have a wonderful day, ((( BIG HUGS )))..
A wonderful and cheery New Home card Darnell. The neon birds are brill. Happy MOnday to you! 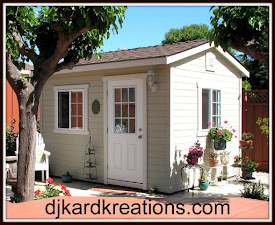 I love the cute little house! I have some flowers and hearts like that, that I've had for years too! A great card!!! Hi Darnell. Your card jumped out at me and said, "come on in!" So I did. LOL! There's something about birds on a wire that mesmerizes me...maybe it's the neat, organization of them all lined up. I like the house too. You inspired me to make a few "house" cards of my own. Thanks for sharing. I love the rows of birds and these vivid colors. A pretty little scene! Hey Miss D! A fantastic bright card, and to think, it all started with the little house button. Very clever to build your pretty card round that piece (and how on earth you remembered you had it...amazing to me). Love the hot mulberry color against that neon yellow and your little smoke puffs were so cute in pulling the eye upward to the cheeky, cheery birds on a wire. Delightful motif for a new home resident. Hugs, TFS & have a good coming week. Such an adorable card - a lovely design and a stunning colour scheme - your stamped birds are so 'tweet' and fabulous elements!! hi! this is go to be the cutest use of buttons I have seen, soooo adorable. so glad you played along with us at Simon Says Stamp Wednesday Challenge! Such a cute house button Darnell~I LOVE the neon touches! This card is so fun. I never would have guessed that the top panel was Washi tape. Love the fun, bright colours and the use of that cute house button! I love how you used the washi tape at the top of the card, perfect. It's bright and fun and love the story you shared! Well, of course it's precious!! Love the washi tape and that cute, cute button. Bright colors always make me smile. VERY nice! Don't know why, but sometimes I'm not getting updates on your blog.....will have to look into that now. Really really beautiful and vibrant Spring card!!! For a moment I thought I was really forgetting until you mentioned it was Mother's Day elsewhere! LOVE the card! It's so bright and happy. I love all those colored birds on the wire and you must have some patience to snip them all out, but it was worth it. That said, I'm not so sure I'd want to live under all them birds. They aren't the cleanest of neighbors you know. And your "out of the mouths of babes" oh my! Stop it! I'm asthmatic! I can't laugh like this... no seriously, I'm coughing now. Too funny. I'll have to share that. Hi Darnell, Love your card, such a bright, cheerful spring design and your button is amazing. Oh my goodness...how did I miss this post?! I just don't get it sometimes! Your card is fabulous, Darnell! I love the neon birds on a wire, and how you created smoke from the chimney with those darling little buttons! I'm glad you saved this house for just the right card, because you sure found it! Thanks for sharing another great 'story' with us...I needed a good laugh! Fab card Darnell! I have that same washi tape and never would have thought of using it like that. Very clever! Such a neat card & what a cute story! Oh boy, what a cute card, Darnell!! That little house button is too cute for words and I love your brightly coloured birds on the wire (I have the same washi tape, but my birds are all black!!) The bright pink is perfect to go with the birds and I love the banners you've added to round it off. Great card!! What a sweet card. I struggle with new home cards - I've never found a great "new home" stamp and since I lack true creativity, I am hindered by the lack of a stamp. But your fun button and the simple "hip, hip, hooray" does the job perfectly. The lines of birds are such a cheerful touch!